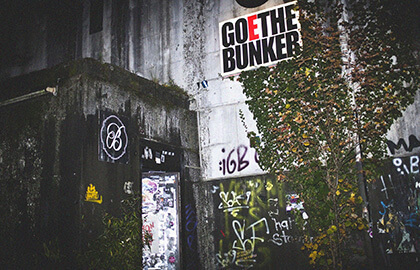 Located in the heart of Cologne’s historic Belgisches Viertel district, Gewölbe has long occupied its role as the city’s hub for house and techno. The word Gewölbe literally means “vault”, and the club lives up to its name via a maze of tight rooms that lead into its central dance floor. There, clubbers dance to sets by some of the underground’s best DJs amid industrial fixtures and strobing fog to a crystal-clear sound system. Check out our Pics Or It Didn’t Happen column to get a sense of the clientele at a typical Gewölbe party. Institut für Zukunft immediately became a favorite venue among locals when it opened in 2014, and has since built on that momentum with a solid crew of Leipzig-based DJs as well as ace bookings from abroad. 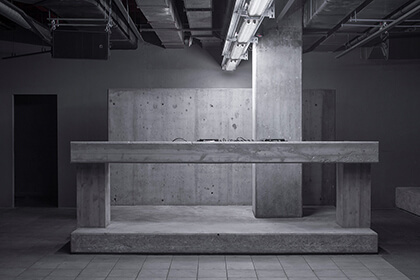 It supplements its reputation for compelling, gritty avant-techno sounds and a top club experience with a progressive political agenda, which it carries out with a welcoming door policy, efforts to make its dance floor safe and non-party events on off-hours like talks and seminars. In doing so, IfZ has carved an integral place for itself in the bubbling Leipzig music scene (which we think is one of the best in the world right now) and in the hearts of its fans, who celebrate its existence daily with a relentless stream of IfZ-themed memes. For more information check out our feature series on the club, its booking policies and activism: Future Sound Of Leipzig. The unofficial rule in Europe that all former power plants, bunkers and slaughterhouses must be converted into nightclubs holds true for Klub Neu, a relatively new nightlife venture brought to term by a crew that previously ran the Showboxx for 17 years. They opened Klub Neu in late 2015 in the entrance to a defunct slaughterhouse and converted the space to a club beloved by Dresdeners for its nice sound, good vibes and—according to a number of reviews on Facebook—quality toilets. Essen’s serious clubbers congregate at Goethebunker, a World War II-era air raid bunker-turned-horse-supply-store-turned-nightclub. These days it houses two rooms: one with a livelier atmosphere propagated by glittering disco balls and another with a darker mood. The club is in an industrial neighborhood at the intersection of Essen’s surrounding areas that attracts club goers from many different parts of north-west Germany. Minimal meets 2-step, electro and other adventurous styles on Robert Johnson‘s legendary Martin Audio sound system. Over the course of more than a decade, the club has become an international clubbing institution thanks to its meticulously designed DJ booth and dance floor with expansive views of the Main River, which separates its hometown in Offenbach from the city of Frankfurt. Its weekly parties and in-house record label, Live At Robert Johnson, have played no small role in the development of a booming minimal-oriented community that includes talented producers like Markus Sommer and the constituents of the phenomenal Traffic Records Frankfurt crew. 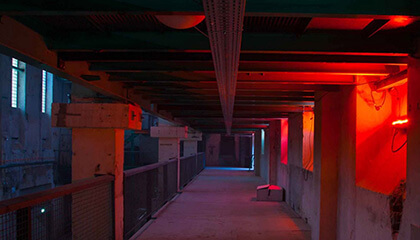 MMA, short for Mixed Munich Arts, is a multifaceted Munich-based club based inside the husk of an old thermal power plant. 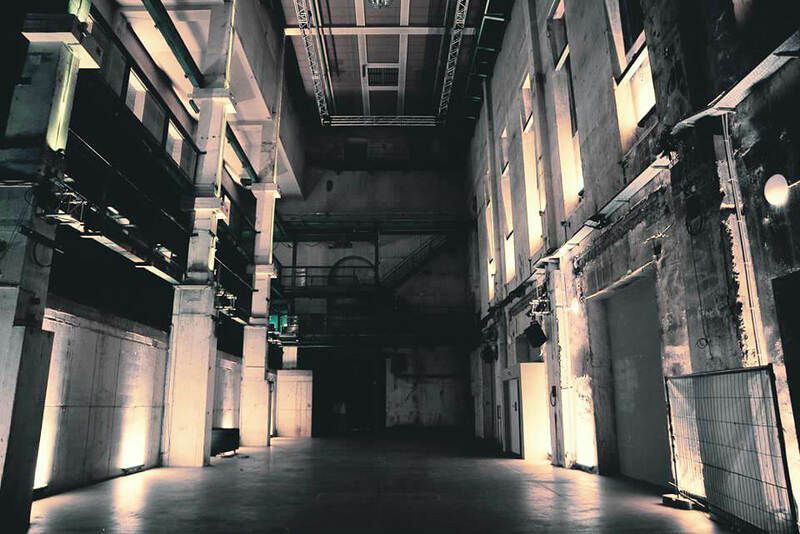 Since its christening in 2014, it has hosted well respected underground techno DJs such as Ben Sims, Len Faki, Aurora Halal and Terence Fixmer. In addition to the innate appeal of its musical curation, however, the maze-like club also boasts a 460-square-meter gallery space that’s frequently utilized for diverse theatric, artistic and orchestral performances. 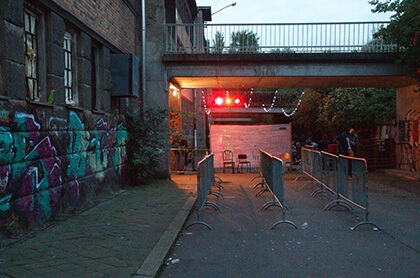 Leipzig’s Conne Island is not only a music venue but also a cultural center for the city’s radical left. 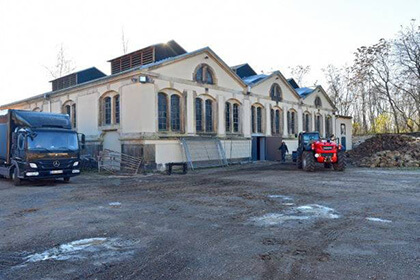 It operated as a restaurant in the early 19th century and later transformed into a headquarters for the Hitler Jugend in 1940, and after that it became a club for the Free German Youth in 1945. Its politically charged history has made it a fitting location for rebellion-tinged underground music. In 2016 alone, it hosted the esteemed alternative darkwave acts Youth Code, Pure Ground and Lebanon Hanover, and is also set to promote the more dance-driven sounds of house labels like Giegling this coming year. 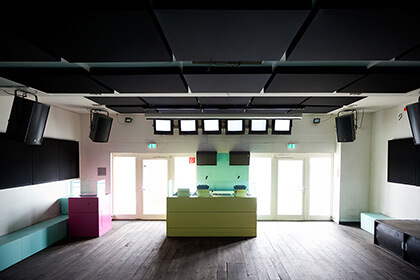 Over the course of 12 years, Düsseldorf’s Salon Des Amateur bar and club has become famous for its unpretentious vibes, unbeatable stable of resident DJs and signature musical taste in slo-mo dance music, far-out kraut-influenced jams, odd experimental compositions and international styles. In recent years its renown has increased in conjunction with the success of some of its homegrown selectors, including Lena Willikens, Jan Schulte (aka Bufiman or Wolf Müller), Vladimir Ivkovic and one of the bar’s co-founders, Detlef Weinrich, who’s mostly known these days for his standout records as Toulouse Low Trax. Unfortunately a notice recently appeared on Salon’s Facebook alerting its fans that it must close temporarily due to extensive water damage. However, there’s no indication that the club will remain closed after the renovations—which, granted, could take a while. White Noise is a meeting place for like-minded music fans and industry heads in the south-west German town of Stuttgart. The space has operated as a club for less than a year—before that it hosted events as a café/bar—and already serves a diverse roster of acts ranging from the house-infused panache of Shanti Celeste to the ravey kinetics of R&S’s Tessela. Most of the bookings, however, consist of German DJs and producers, making this nightlife hotspot an ideal platform to showcase local talent beyond Berlin’s borders. 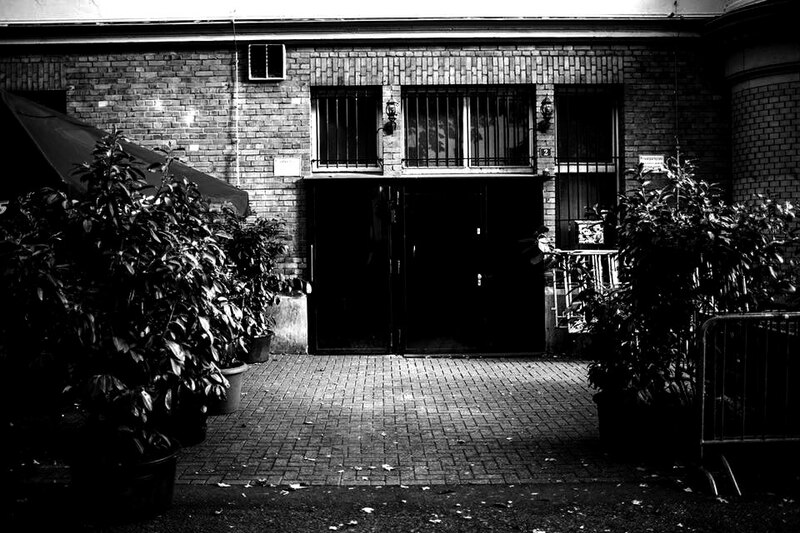 PAL is Hamburg’s primary destination for house and techno. It regularly features lineups that aren’t unlike those you would see on a typical Berghain Klubnacht. The club’s packed roster of events features hard-hitters like DVS1, Ryan Elliott, Ben UFO and Andy Baumecker, an impressive offering in light of the club’s fairly recent opening just two years ago. PAL is also set in a glass-encased building in the city’s downtown district, which sets it apart from from techno’s now more common industrially influenced nightclubs. 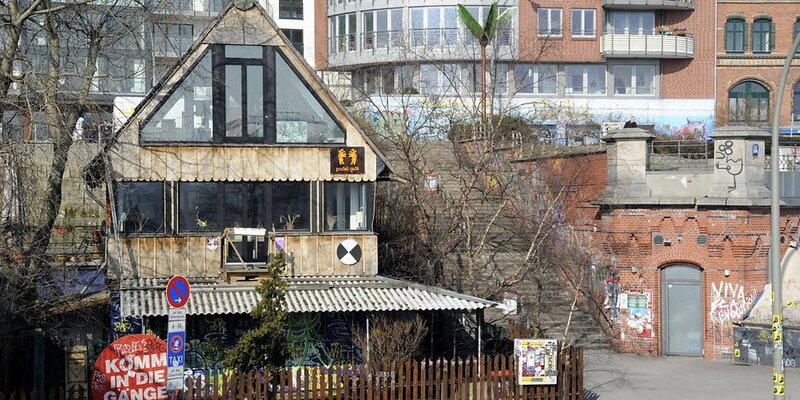 Hamburg’s legendary punk-oriented nightclub Golden Pudel is a shoo-in for any list of notable clubs in Germany—if not the world. The only reason we haven’t mentioned it here so far is that we’re worried it’ll remained closed for good after disputes between the property owners and a fire put the space out of commission since last year. That’s why its recent fundraising efforts with an online campaign and two events in the UK are so critical. The cover photo shows MMA in Munich. Telekom Electronic Beats is hosting parties at many of these locations in 2017. For more information about tickets, lineups and tour dates, check out the page for our Clubnight series.